I have nothing against technology when raising bilingual children. Apps, online games and movies in Spanish are a great supplement in this journey — but they’re just that, a supplement. 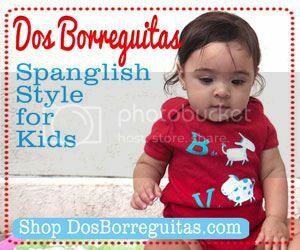 It is a mistake to think that just sitting your child in front of the television set to watch a show in Spanish or to let them mouse around with a bilingual computer game will expose them to the kind of vocabulary needed to become proficient in the minority language. More than one study has proven that the best way for children to develop their language and reading skills is through dialogue. 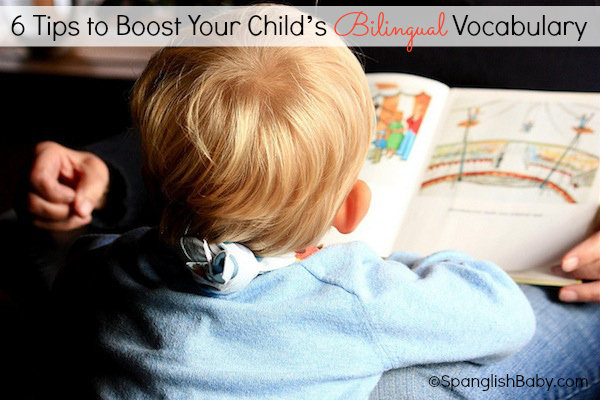 This is particularly important for bilingual children. So motivate your child to interact verbally with you and you’ll be teaching him the basics of language: phonetics, vocabulary and grammar. These will eventually help him develop more complex skills such as reading and writing. 1) Read, read and then read some more — Nothing is better for boosting your child’s vocabulary than reading. Read to them out loud. Read to them often. And it doesn’t have to be just books. You can read everything from labels to billboards to them! 2) Don’t change the way you normally speak — You don’t have to simplify your vocabulary when you talk to your children. They will get what you’re trying to say even when they don’t understand every single word. I’m pretty sure part of the reason why my daughter’s vocabulary is so extensive for her age is because I always speak to her the way I would if I were talking to, say, my husband. 3) Expand on the conversation — You can do this by responding to your child using longer sentences based on his simple phrases. When my 3-year-old son, Santiago, says something like: “Me encantan mis carritos.” I say something like: “Sí, tus carritos son muy divertidos porque van muy rápido. ¿Cuál es tu favorito?” I also do this a lot when I read him a book and he points to something in particular. I expand on what he’s saying by asking him to describe the object in more detail or relating it to something we did or saw recently. That always gets him going. 4) Understand that her mistakes are part of her progress — Grammar and pronunciation errors will happen as your child establishes her own knowledge of the language. Maybe she understands the rule about conjugating certain verbs, for example, but she’s not aware of the exceptions — and if you know anything about Spanish, then you know those abound. Just give her the correct response, but don’t make a big deal out of it. Vanessa used to do this constantly with the verb poner. She would say, “¿Por qué papito ponió su mochila ahí?” And I would respond, “Papito puso su mochila ahí para no olvidársela“. Eventually, she got it. 5) Turn everything into a topic of conversation — Try to provide your children with all kinds of experiences in as many different places as possible and as often as possible. I love taking walks around our neighborhood with my kids because just about anything going on out there becomes a topic of conversation and helps expand their vocabulary: children playing basketball, Easter decorations, the mailman delivering a package, etc. 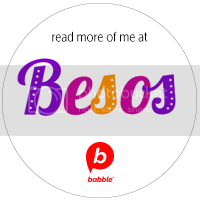 In fact, it was thanks to one of our walks that Vanessa learned the phrase “darle la vuelta a la manzana” which translates as a walk around the block. 6) Learn to listen — Being a good listener is such an essential trait, yet not everybody possesses it. My father used to say: “Calla y escucha”. Roughly translated into: “Shut up and listen.” The truth is that you learn a lot more from listening than from talking — especially when it comes to helping your child enrich his vocabulary. It’s absolutely normal for little ones to go off on a tangent when verbalizing an idea or sharing a story with you. Just listen without interrupting and then you’ll be better equipped to ask the kind of questions that will lead to even more conversations. 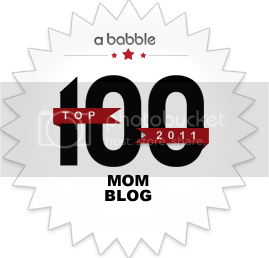 What are some strategies you use to boost your child’s vocabulary? I love these simple, practical tips! Our first baby is coming in a few months and I’m all ears when it comes to navigating the two languages and two cultures! Thanks Roaxana! We used for a while a book with very detailed drawings of a house, a park…. I will point then something and ask, how does mum call this? and dad? It became a game and it helped us to increase the vocabulary in both languages. Further I would like to comment that we do read books that are intended for older children. They cannot manage to read them themselves but they can understand the story when read and come in contact with many new words that are not used in books for smaller kids. For example, I am reading out loud “charlie and the chocolate factory” for my 5 year old twins. Gracias por este artículo Roxana! A mi chiquito le encantan ciertas canciones en inglés que aprende en el story time, cuando llegamos a la casa yo las adapto y las canto para el en español tradando de mostrarle siempre imagenes relacionadas con el tema. También trato de dar gracias por cosas nuevas y distintas cada noche cuando hacemos la oración antes de dormir. En cuanto a las apps, trato de participar con el y si, por ejemplo, hay imágenes de frutas o verduras que tenga en casa, siempre lo invito a abrir el refrigerador, buscar el tomate, o la zanahoria, y verlo, tocarlo, y luego le muestro y le indico que es lo mismo que ve en el iPad. I didn’t comprehend that Nicole had such hairy arms till I saw “her” painting the toy chest.